POLITE NOTICE BEFORE ORDERING: Please note that it will take around 1 month / one month and a half for us to deliver the service since we're talking about huge amount of links that will need to be built safely. Do not order if you can't wait up to 30 days. Cancellation is not possible after placing an order. 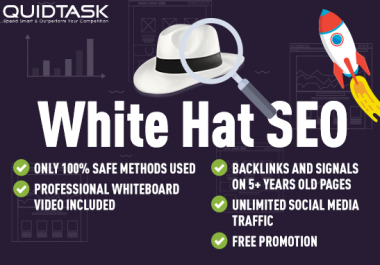 CHEAPEST ALL IN ONE YOUTUBE PROMOTION OFFER ON SEOCLERKS! This YouTube Views, Embeds and Signals package consists of 4 seo levels and it's designed to boost your SEO, SERP, VIDEO RANK and views on YouTube, Google & Other Search Engines. Having more Views, Social Media Shares, Video Embeds and Backlinks combined with a Sponsored Blog Posts and Social Bookmarks means growth for your views and rank increase on YouTube and other search engines. YOUR VIDEO IN FRONT OF POTENTIAL 1,000.000+ IMPRESSIONS ? 100% NATURAL AND ORGANIC SOCIAL AND BLOG PROMOTION ? 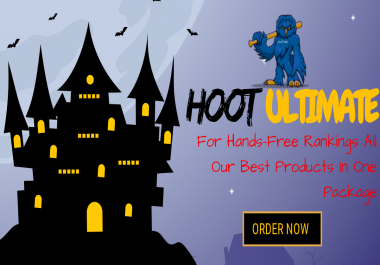 YOU WORK WITH TRUSTED LEVEL X SELLER, WITH 6000 POSITIVE REVIEWS AND OVER 30,000 COMPLETED ORDERS! ? POSITIVE RESULTS, GUARANTEED VIEWS AND RANK INCREASE! ? Over the years, we have created many social networks and websites with tons of traffic. Mainly Social Profiles representing us and private websites in different niches, with people that check our posts and videos, so you just have to give us your video link and we will share it with the correct audience. Your video will be shared with massive audience (over 1,000,000 people guaranteed), interested in what you do, many should click and visit your video, if your video is engaging enough you can expect the "viral effect". Some of the videos we worked on have even received over 100,000 VIEWS and they still receive views from our blogs, which resulted on their video being ranked on first spot for YouTube Search and first page on Google! However, we can't guarantee the same for your video. This package contains High Retention ORGANIC VIEWS for your video. The views are achieved with the help of the SEO Campaign on our PBN and Social websites a few days after the campaign is completed and they will also continually increase your VIDEO RANK, SERP AND VIEWS. 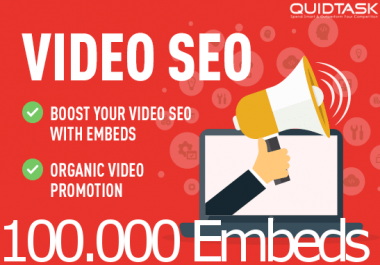 This package contains video embeds and huge amount of do-follow and social bookmark backlinks that will help you rank your video higher on YouTube's Search Engine and increase your video rank. Do-Follow backlinks have a SEO benefit for your video, unlike no-follow links that are just sold from someone to take your money and disappear. A Do-Follow backlink together with embedded video will pass on the SEO benefits of the video where it is built from to the hyperlinked site. These links will remarkably enhance your link profile and improve your video rank. 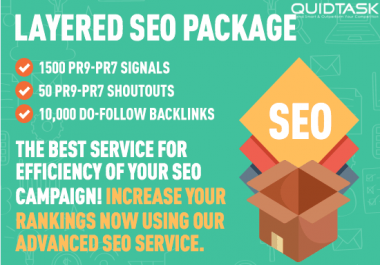 This package contains Sponsored Social Signals that are a very important factor for video ranking and Video SEO. Especially when you get them from OLD PAGES WITH BUILT AUDIENCE. The signals your will get are from the Top Social Networks and are PR9-10 - which means huge SERP improvement. They will help you grow your social media presence for your video and bring you a lot of views. This package contains promotion to aged fan pages that will promote your video and bring views from our fan base of real and active fans on aged pages, profiles and websites. Purchase this service to boost your rankings for any YouTube video. This is useful for Making your video more popular, Improving SEO rankings of videos in Youtube and Google, Brand exposure. Affiliate marketing advertising or Just making more money! After ordering this service, you will only be asked for the link of your video and your 3 keywords. You can also write a short description about your video so that we can put that information on the links we create. No refunds. If you request cancellation in the middle of the progress, we will deliver what we have at that time and mark as complete. Orders completed within 29 days.